If you need to wear RPE for your job then it’s essential that it provides you with adequate protection and that fit testing is carried out prior to wearing. If fit testing isn’t carried out properly then the RPE can’t protect you if it leaks. The face piece/respirator needS to be tight fitting against the face of the wearer so that it doesn’t leak. Everybody has a different shape and size of face, so the RPE will need adjusting to suit the individual wearer. It isn’t simply a case of one size fits all! This is why carrying out fit testing prior to using the selected RPE is essential for the wearer’s safety. 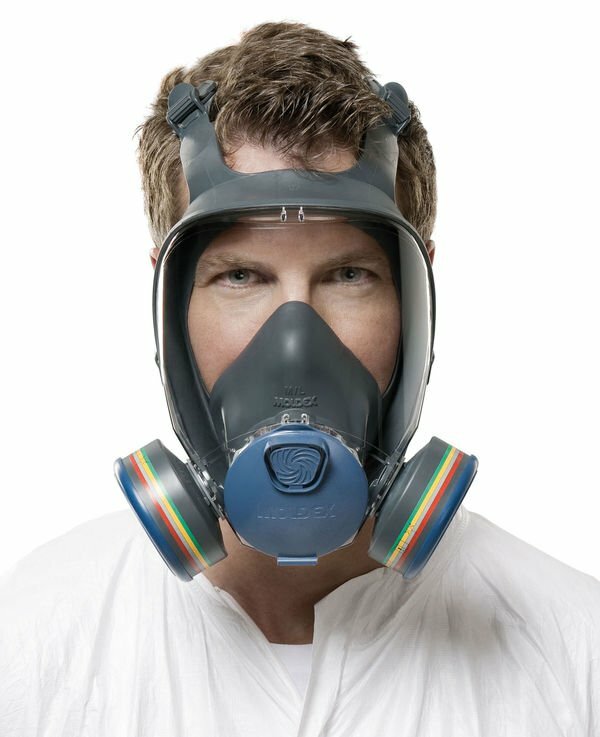 Fit testing should be done right at the start when selecting a respirator/face piece. It’s important that once you’ve tried a selection on and found the best fit that you wear exactly the same on the job! This means the same make, model, type and size that you were face fitted for. If you wear more than one piece of RPE, then fit testing should be performed for each face piece. Who can carry out fit testing? Only a trained and competent person can carry out RPE fit testing. They must be qualified to do so and have relevant experience. If you need help in finding a competent face fit tester, then have a look on The British Safety Industry Federation (BSIF) website. There you will find details of fit testers in your local area..
Facial hair is a problem when it comes to fit testing. The face piece needs to have a good seal against the face in order to prevent any leaks. A beard or facial hair will prevent a good seal and mean there are gaps around the face piece. If there are gaps then it means the dirty air being breathed in will not go directly to the air filter, meaning you will breathe it into your lungs instead. So it’s essential that you make sure the mask fits correctly with no gaps each time you wear it. Being clean shaven will ensure a good seal to the face when wearing tight fitting masks, thus preventing any leaks or breathing in of contaminated air. Some people, for religious or other reasons, cannot get rid of their facial hair and will need alternative forms of RPE. We hope you found our guide on fit testing useful. Do you need quality RPE? Then you’re in the right place. We have a large range to choose from on our website. This entry was posted in Health and Safety News and tagged Personal Protective Equipment (PPE), respiratory protection.